Be honest. When a teenager approaches the reference desk, do you start casting desperate glances around the room for a colleague? Whether or not "teen services" shows up in your job description, you are going to interact with teens if you serve the public. That is a good thing, because teens are active readers and library users. A 2013 Pew study found that 85% of 16 and 17 year olds have read a print book in the last year, more than any other age group. Better yet, teens also responded that access to a librarian -- yes, you! -- was the most important part of library services. As a former teen librarian now in adult services, I am always happy to share the techniques that make me comfortable engaging in readers' advisory with teens. If you feel unprepared for providing the same high quality service to teens as you do to adults -- afraid that you do not know the cool books, the right tools, or the best way to communicate -- you may be surprised to hear that you already have the skills you need to turn an uncomfortable interaction into an excellent one. The Library Bill of Rights expressly states that "a person's right to use a library should not be denied or abridged because of origin, age, background, or views." In other words, you are interacting with a teen, with his or her particular needs, not with the envoy of the monolithic alien culture of teenager-dom. Of course it would be intimidating, if not impossible, to meet the needs of "teens." But it is easy and wonderful to talk to Emily, who loves math and Miyazaki films; or Jacob, who struggles a little with reading but likes stories about animals; or Chris, who wants something to read to his little sister. So how do you help Emily, Jacob, or Chris? In the same way you would talk to anybody. Simply listen to and respect that individual's need. In this case, the individual just happens to be between the ages of 12-18. You do not have to have a Ph.D. in how to talk to teens. Let go of that anxiety, and get the conversational ball rolling. No matter the age of the patron, connecting with the person in front of you is the heart of good readers' advisory. And if you worry that you may not know the right thing to say, consider that the same may be true for the teen in front of you. Some readers know exactly what they like and why, but many struggle to articulate just what it is that that appeals to them. This difficulty may be amplified in some teens if they do not have much experience expressing their preferences, or in being listened to when they do. Do not give up if your usual questions about their reading tastes are met with the dreaded "I dunno." Interpret this reluctance not as resistance or rejection, but as an incredible opportunity to help a young person learn about himself while finding an amazing book. In this situation, I talk to the person about her preferences in any area of her life. I often start with movies, an easy corollary for books. What movies does she like? Often the response to that is enthusiastic. If not, does she like sports? Have hobbies? What subjects does she like in school? Once the conversation is moving, I personally like to use Nancy Pearl's doorways to understand what books might appeal to that person. This system looks beyond subject matter to identify the elements that most appeal to a reader, such as story, character, language, and setting (Stone 2012). That said, beginning with a book on a topic that interests your teen patron can open the door to more conversation and build trust. After he has seen that you are listening, you can move on to why he loves something. If his passion is about spending time with friends, for example, I would try a character-driven book; if he loves excitement and adventure, a story-driven one. Despite "playing rabbi, Barbara Walters, and Oprah's Book Club editor all in one," (Garrett, 2010) sometimes you will not be able to get past reluctant, terse answers. That barrier may not be a lack of preference awareness, but discomfort talking to the librarian. Some people of all ages have difficulty talking to authority figures or strangers, asking for help, or "interrupting." With some teenagers, this may again be compounded by a relative lack of experience expressing themselves to adults outside their family. Introverted teens, in particular, frequently do not approach the desk. You can successfully handle this in the same way you would with a reserved adult. Get out from behind the desk and reach out to the teen browsing the shelves. A casual "Can I help you?" might come across as insincere (Booth, 2005), or simply not be enough of an opportunity for a very shy person to get her bearings. Consider those brief interactions as steps towards a goal, not as a failed one-time event. As a teen gets to know you just a little -- your name, your personality -- she will also see that you listened and cared about what she thought. After every positive interaction, you become more approachable. Even an exchange that seemed minor and forgettable to you may have a significant impact on your teen patron. There is no script here. Just introduce yourself and let her know that you are truly interested in learning with her. Trust that even if this greeting is not immediately answered enthusiastically, it may still have long-term impact. Each successful readers' advisory interaction you have with a teen builds the foundation for a deep and lasting relationship with the librarian and the library. Even without an extensive knowledge of teen literature, treating your teen patrons as individuals and applying your universal readers' advisory techniques will create many rewarding experiences. If you would like to improve your readers' advisory to teens even more, I encourage you to delve into the young adult lit scene. Many adults (myself included) already read young adult fiction for our own pleasure; a 2012 Bowker study found that adults make 55% of young adult literature purchases, and more than 75% of those are buying for themselves (Publishers Weekly, 2012). A good grasp of young adult fiction will enhance your readers' advisory services to young adult-reading adults as well as teens. What resources can you use to get that knowledge and keep it up to date? The first and best one is your teen patrons themselves. What are they and their friends reading? What blew their minds? Let them suggest books to you. This will be a powerful way to build those relationships, letting your teen patrons know that are heard and trusted. There are also a variety of excellent review sources. School Library Journal includes teens, as does Horn Book. YALSA, the young adult division of ALA, sponsors several excellent lists each year. Teens' Top 10 winners are selected by teens across the country. The Alex Awards identify adult books that are also great for teens. The Printz Award winner and honor books are, in my opinion, usually among the best books published that year for any age. Once you know of a few popular authors, you can take your knowledge a step further by following them online. Many young adult authors are very active on social media, and are often the first to recognize and support up-and-coming books and writers. Do not be intimidated to serve teens! As an adult reference librarian, you already have the skills and the values you need to provide them with life-changing experiences and books. Respect each teen as an individual, use your readers' advisory fundamentals, and think about the source of communications challenges to turn them into opportunities to build relationships. Above all, listen, respect, and care for to each and every person in your library -- regardless of age. Booth, Heather. "readers' advisory for young adult: Tailoring the Readers Advisory Interview to the Needs of Young adult Patrons." Public Libraries Jan/Feb 2005: 33-36. Farrelly, Michael Garrett. "Readers' Advisory and Teen Readers." Public Libraries Jan/Feb 2010: 23-24. 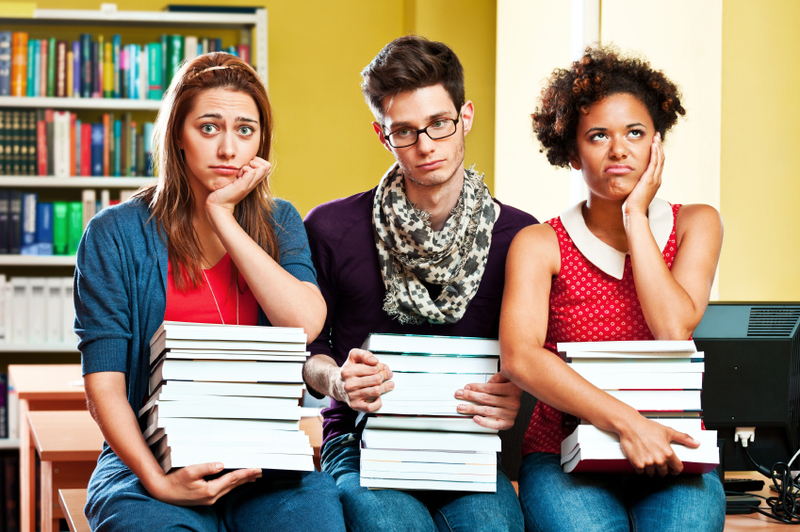 "New Study: 55% of young adult Books Bought by Adults." Publishers Weekly 13 September 2012. Accessed 1 July 2014. http://www.publishersweekly.com/pw/by-topic/childrens/childrens-industry-news/article/53937-new-study-55-of-young adult-books-bought-by-adults.html. Stone, Misha. "Reading Through Doorways." NoveList November/December 2012. Accessed 1 July 2014. http://www.ebscohost.com/novelist/novelist-special/reading-through-doorways. Zickuhr, Kathryn, Lee Rainie, and Kristen Purcell. "Younger Americans' Library Habits and Expectations." Pew Research Center 25 June 2013. Accessed 1 July 2014. http://libraries.pewinternet.org/files/2013/06/PIP_Younger_Americans_and_libraries.pdf.